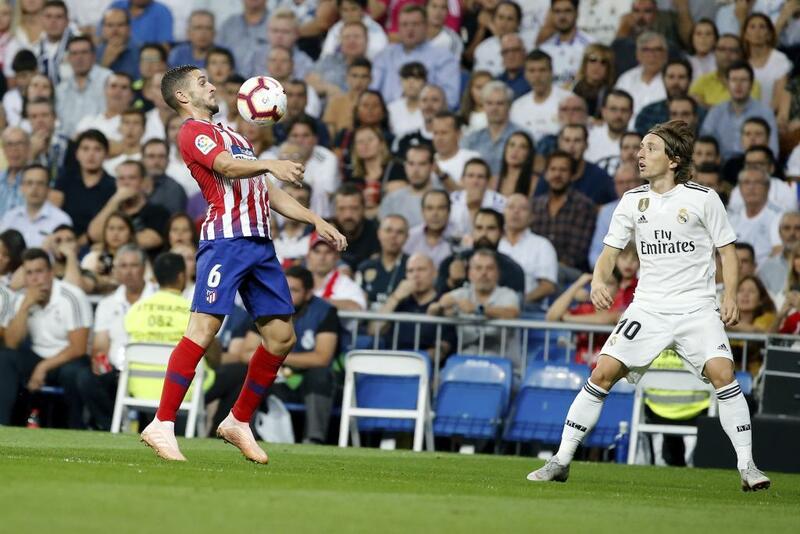 The derby between Atletico Madrid and Real Madrid is a game of maximum demand, a contest that leaves nobody is often played on the edge, MARCA reported. In this one, the repercussions are massive with regard to the title race in LaLiga Santander, and it is a massive test for the stars. On Saturday afternoon at the Wanda Metropolitano, the focus will be on some men more than others. The magnifying glass will be on Alvaro Morata, Thibaut Courtois, Santiago Solari, Vinicius Junior and Gareth Bale in particular. One of the main men in this derby. He is measured by his Real Madrid past and, in addition, it will be his first game in front of Atletico's fans since joining in January. It is a derby that seems made for him and he will form part of the Rojiblancos' attack alongside Antoine Griezmann. He will also be eager to open his scoring account as quickly as possible after failing to do so in his debut against Real Betis, a 1-0 loss at the Benito Villamarin last weekend. Will he celebrate if he scores? Precedent says no but we will have to see how Morata does react in the event that he finds the back of the net. The new Atletico striker played down that possibility on the day of his unveiling. "It is a blessed problem... I hope that the only problems I have to think about are what I'll do after scoring a goal," he said. "When that situation comes, things will arise themselves, but I won't be thinking about it." His first derby as Madrid coach will be another demanding test, following on from the Clasico clash in the Copa del Rey against Barcelona at the Camp Nou on Wednesday. He has steadied the ship as Los Blancos have now reeled off five consecutive games without losing, with five wins and a draw. The coach has an Atletico past and has experienced this type of game as a player from both sides; it will be interesting to see what reception he is in for. The Argentine played for Los Rojiblancos from 1998 until 2000, featuring in 45 matches and scoring seven goals. Of those games, three came against Madrid and he never lost, managing two wins and a draw, in addition to getting a goal in the third game at the Vicente Calderon in the 1999/00 campaign. 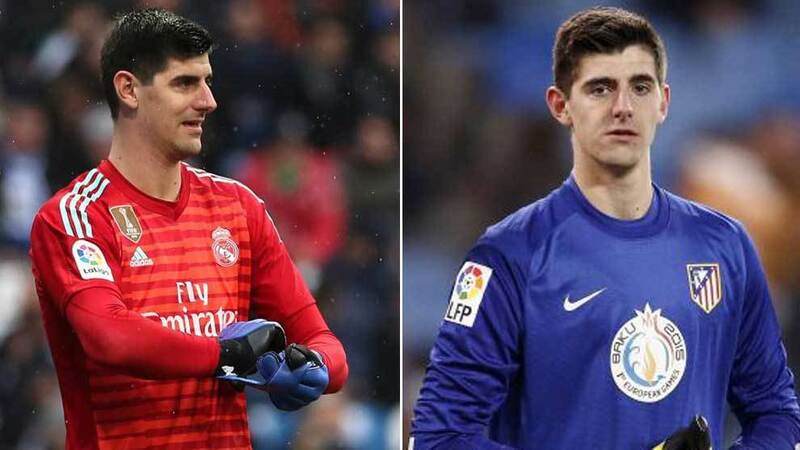 Better still is how he has performed against Atletico in his time as a Madridplayer, facing them four times in the league and winning four times, getting on the scoresheet twice in the process. Atletico will always have a place in the Brazilian's career. It was against them that Vinicius made his debut in the first half of the season. Lopetegui threw him into the contest in the 88th minute and it is there that his adventure officially begun. Now he has a new opportunity to demonstrate his quality in the derby, another important game for him after starting in the Clasico. Solari is counting on him a lot and, in principle, it seems that he will once again be in the starting line-up. However, the coach could mix up the attacking trident of Vinicius, Karim Benzema and Lucas Vazquez by giving Bale an opportunity. Another player who will face his former side will be the Belgian, though he will receive a far more antagonistic reception than Morata. An unfriendly greeting is expected for him at the Wanda Metropolitano, something he expects. "Things may be thrown at me throughout the game, but I've already experienced that in Belgium," he told Nieus Blad. "At Anderlecht, they threw lighters at me and at Eupen, there was a pitcher of beer thrown but unfortunately that's part of football. "If they want to throw things at my head, it won't affect how I play and in fact, it is more motivation." This could be his final taste of the Spanish capital derby. The centre-back hasn't renewed his contract with the club and his future could lie away from the Spanish capital next season. Godin has been a key presence in games against Madrid and could write the final line of his history against them on Saturday. In addition, he will be back in the line-up after physical problems prevented him from featuring against Real Betis last weekend. It is not clear that the Welshman will start, but he could be given a chance to impress in the eleven, or with another bench appearance, like against Barcelonain midweek. This has not been how Bale would have envisaged his season going, stuck between injuries and poor form, particularly after the exit of Cristiano Ronaldo and the expectation that the 29-year-old would become the new leader at Los Blancos. 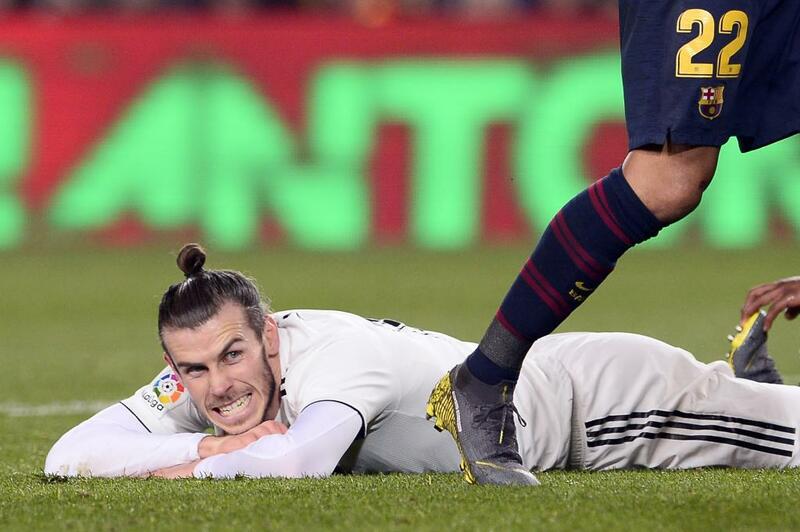 The match against Atletico could be the perfect setting to see the rebirth of Bale. Koke will miss his third straight game on Saturday due to a muscular problem and his absence will be deeply felt by Atletico, especially in a fixture as passionate as the Madrid derby. Los Blancos are the side that Koke has faced the most since making his Atleticodebut, having played them 28 times out of a possible 30 since he played in his first derby; the total number of games played increases to 35 from the moment he made his first team debut with Los Rojiblancos. Astonishingly, Koke has only lost two of the battles that he has played in, yet the record without him is worrying: six losses, one draw and no victory.